During the 1980s, I was a keen collector of radio station airchecks. I would collect ANYTHING and tape everything. Lack of space would later force me to scrap some of the recordings, though some of the best have been dusted down to make their debut on this web page. Not all of them were recorded by myself, so I would like to acknowledge the work of those who, like me, were sad enough to wake at unearthly hours or travel to strange places with a tape machine just to record a certain show/radio station ! Before 1964, pop music fans had a chance to listen to their type of music from the organisation with sole rights to broadcast – the British Broadcasting Corporation, but only for the odd hour here and there. It took a radio station housed on a ship (anchored outside territorial waters) called Radio Caroline to change all this. 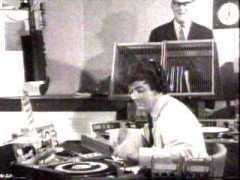 Caroline, which broa dcast pop around the clock would soon be joined by other radio stations around the coast including Radio London and Swinging Radio England. Some stations, particularly Radio 390 and Britain Radio had a laid back middle of the road music policy. All had one thing in common – they brought the concept of American format radio to Britain which would soon become the norm. 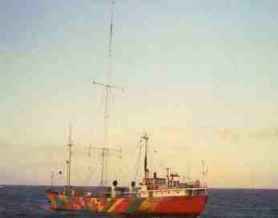 They were dubbed pirate radio stations and were outlawed by the British government in August 1967 (although Caroline moved position and continued for a further year). Such was the popularity of the pirates, it was clear that a legal replacement was needed, so the BBC Radio network was revamped the following month and Radio One and Radio Two were born. Many of Radio One’s on air talent were recruited from the pirates, includi ng the legendary Tony Blackburn who opened the new station. 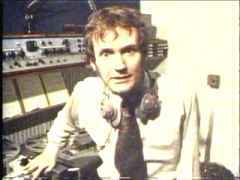 One of Radio London’s rising stars was Liverpool born Kenny Everett, a zany comic genius who’s trademark was the self made jingle/promo which would cram in all kinds of effects. By 1967, he too was employed by Radio One. When he died a few years ago, radio lost a unique talent. By 1973, the government granted permission for local commercial radio and the first licences were granted in London to a talk station and to pop station, Capital Radio (which Kenny Everett joined). Further licences were granted around Britain in the following years. 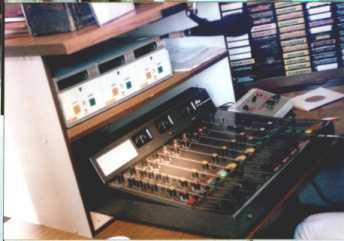 until a new ship was used allowing broadcasts to commence in August 1983. Between 1984 and 1987, Caroline was joined by another radio ship Laser 558 (later Laser Hot Hits 576) with an all American line up. Laser closed in the late 80s. The Caroline ship was taken out of international waters in the 1990s and occasionally broadcasts with a temporary licence. Further expansion occured to the both the local and national radio networks during the 80s and 90s, including the arrival in 1993 of Virgin Radio. Whilst harsh legislation in Britain made it difficult for land based unlicensed radio stations to operate (although some did and still do exist), the situation in Southern Ireland was different. Fines were relatively small and stations with a spare transmitter would often be back on air within hours of being raided by the authorities. When early stations like Radio Dublin, ARD and Big D Radio moved from weekend only operation to full time, 24 hours a day transmission, stations were able to function like any other business through advertising revenue. Generally, the new stations were left alone by the Dept of Post and Telegraphs and were able to run their operations above board in premises, unlike their Brtitish counterparts who would hide makeshift studios in attics etc. 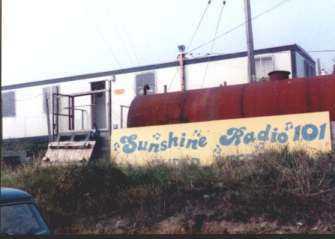 1980 saw the arrival of Sunshine Radio, which broadcast to Dublin from a hotel in a neighbouring coastal resort. Radio Nova followed a year later from central Dublin offices and they were dubbed Superpirates by the media due to their professional sound. Nova in particular appealed to me due to their American AOR format with quality music and slick presenters. Both Sunshine and Nova could be heard clearly in Northern England. Legislation closed the pirates down in 1988, although many DJs found their way onto some of the legal stations set up to replace them. If you want to find out more about Irish Radio, visit a site from a guy who was there. Kieran Murray worked for some of Ireland’s best stations and his web site documents one of the best eras in broadcasting. Visit today ! This entry was posted on Monday, January 24th, 2011 at 7:26 pm	and is filed under Radio. You can follow any responses to this entry through the RSS 2.0 feed.